connection in the early seventies when Charles Krug introduced it by name to California, apparently combining demand with scarcity to force the sale of less desirable wines. In those days, it was simply a nice, crisp “summer sipper” and easier to pronounce than sauvignon blanc. Despite its multi-faceted qualities, chenin blanc became lost and underrated in California over the years, succumbing to the emergence of our Burgundy and Bordeaux whites like chardonnay and sauvignon blanc. A few years ago, I began to see references to and tasting new chenin blanc releases, becoming re-aquainted with its character. It has become more abundant in California and is comfortably grown in appellations from Santa Barbara County to the Napa Valley. Blanc Vista Verde Vineyard ($32), produced in the Russian River Valley with grapes from limestone-laden San Benito County vineyards near the town Tres Pinos, so exclusive that one can only find it by visiting the winery, that is not readily available to the casual wine taster. I had not known of this wines existence despite being on the wineries allocation list for nearly a decade. True to the high quality standard from Williams Selyem, the acidity is finely balanced, crisp yet rich with notable mineral elements on the finish. 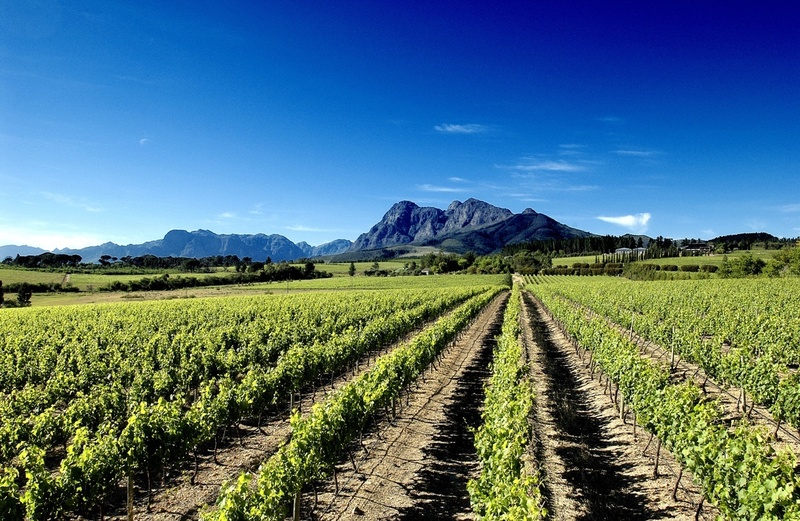 One characteristic of chenin blanc is that it is more age-worthy than most white wines. We are being patience with the two bottles in my cellar, but the end of summer is near.
. 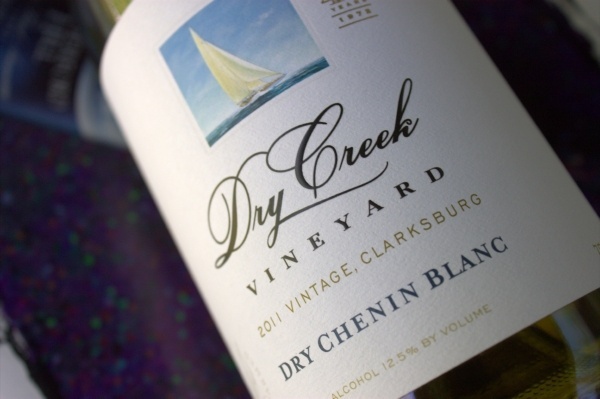 The 2013 Dry Creek Vineyards Chenin Blanc Clarksburg ($12), a tremendous value, is described as maintaining the “Loire character of earth and crushed minerals”. Enjoying the mineral elements, I found a nicely balanced acidity that allows the fruit to be more expressive. The 2014 vintage has been released with good ratings from Robert Parker and Wine Enthusiast magazine. floral characteristics then the dry wines. The dry chenin blanc comes from the Anjou area, also known for its sweet wines. 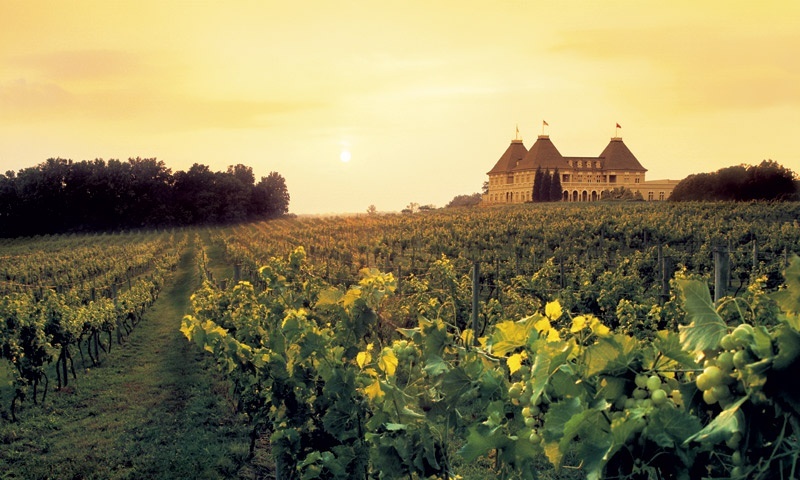 Several vineyards in Anjou use “botrytized” grapes, infected with Botrytis Cinerea, to produce high quality sweet dessert wines. The French have turned the “noble rot” disease into a sensory art form, only truly appreciated through a glass. 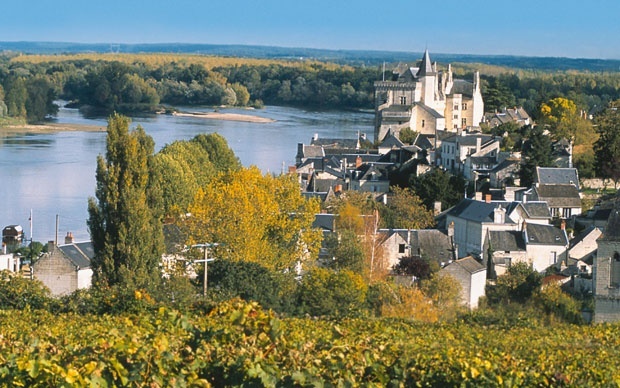 Loire Valley wines can be found in most wine shops and on-line, identified by the appellation. 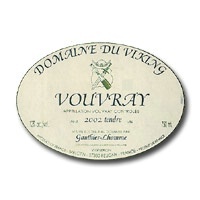 A quick search on K&L Wines revealed two “vouvray” wines from the region that had high ratings and reasonable prices. The 2013 Les Chancelieres Vouvray ($12), aged in stainless steel tanks, was described as having ripe fruit, floral aromas and solid citrus, a good formula for a satisfying dry wine. K&L used the term “impeccably balanced” when recounting the fruit, earth and mineral aspects of the off-dry 2011 Domaine du Viking “Tendre” Vouvray ($23) while others, including Wine Spectator magazine, agree that this wine is among the best from the region. Although chenin blanc is native to the Loire Valley in France, much more comes from most New World wine-producing countries such as Chile, Argentina, Australia, South Africa and the “Golden State,” where it is ranked third among white varietals, behind chardonnay and sauvignon blanc, in acres planted. 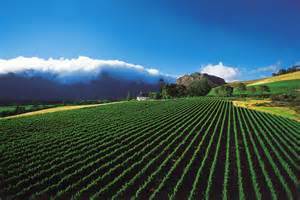 has over 45,000 acres under vine and continues to export a wide selection of fine, dry-style wines to US and other markets, many available under $15. Run Steen” Chenin Blanc ($12), from dry-farmed vineyards in the Agter-Paarl region, is noted for strong tropical fruit and citrus flavors that tend to linger. From the Stellenbosch region, the dry Spier 2011 Chenin Blanc Stellenbosch ($10) has been rated in the high 80s with a low price. Another interesting wine that has been consistently rated with 90+ points, the Badenhorst Secateurs Chenin Blanc 2014 ($23) has the full rounded flavors that one finds with a Vouvray from France and will appeal to those who favor chardonnay or sauvignon blanc. As previously mentioned, chenin blanc, due to high natural acidity, is used to create very diverse wines, each with its own flavor palate. Floral, herb and spice notes often surface in the bouquet while depth of the flavor profile generally includes spirited berries, fruits and citrus. Most of it is produced in stainless steel tanks, some in the concrete egg and the juice is often introduced to oak during the initial aging process, enhancing the buttery, creamy elements, especially in the off-dry wines. In California, chenin blanc expresses more stone fruit flavors like peaches, apricots and, depending on the style and oak influence, honey, mineral elements with floral aromas while South Africa’s dry-style exude more tropical fruits, namely banana, guava and pineapple. It is equally versatile in food pairing, comfortable with salads, fish, chicken, cream sauces and my favorite, Asian food. The grape’s healthy acidity can stand up to those spicy Thai sauces, even curry. It is also versatile in pairing with cheeses such as asiago (cow), California’s Humboldt Fog (goat) and, of course, a creamy, pyramid-shaped Valencay (goat) from the Loire Valley. a single varietal chenin blanc and a unique, consistently good chenin blanc-viognier blend, the unlikely merger of varietals from the Loire and Rhone Valleys. 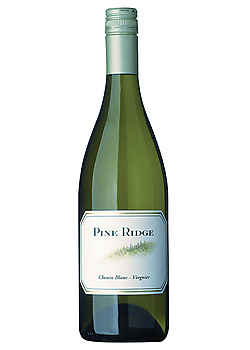 Wilfred Wong of wine.com described the off-dry Pine Ridge Chenin Blanc-Viognier 2014 ($15) as having “lots of fresh fruits and aromatics, a faint touch of sugar, yet crisp in the finish,” awarding it another 90-point rating. Toward the southern end of the state, chenin blanc releases from the Santa Ynez and Santa Maria Valleys have become more available. 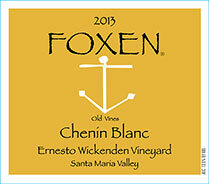 Described as an off-dry style, supple wine, the Foxen 2013 Chenin Blanc Ernesto Wickenden Vineyard “Old Vines” ($25) is produced whole cluster, fermented in stainless steel and aged in neutral oak. This wine is on the exploration list for my next visit to the Santa Barbara wine area. With nearly 65,000 total acres under vine in an appellation spanning three counties, Sacramento, Solano and Yolo; Clarksburg, in the minds of some, has replaced the Loire Valley as the world’s best producer of chenin blanc. Aside from loamy soil, the Sacramento Delta vineyards battle heat, fog and wind, but seem to thrive. 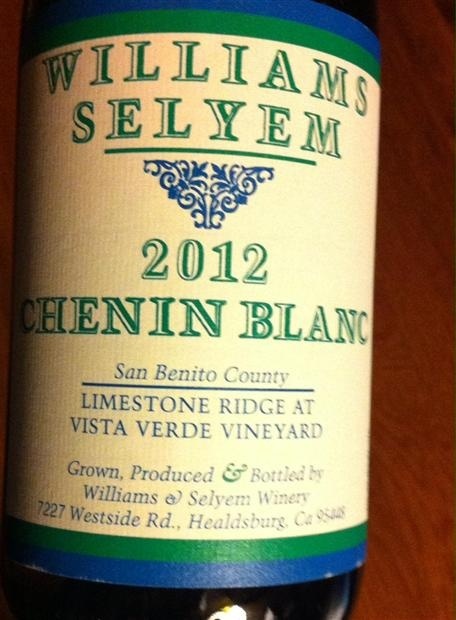 More of the grapes are sourced and crushed in other areas, but some are locally produced including the zesty Vinum Cellars 2014 Chenin Blanc Clarksburg ($15), whose focus is to maintain the natural acidity, resulting in intense citrus and tropical fruit flavors. Even with its tremendous growth and appeal worldwide, the future of chenin blanc is uncertain giving the proliferation of traditional and new whites like albarino, Gruner Ventliner and viognier emerging from New World appellations into the marketplace. It does, however, give us an alternative as a crisp, refreshing “sipper” with diverse flavors reflecting the region of the world where it is created. Readily available and inexpensive, it is certainly an option that may become your next preferred white wine. This entry was posted on Monday, August 10th, 2015 at 12:13 am	and tagged with 2009 L'Ecole No 41 "Walla Viola" Chenin Blanc Columbia Valley, 2011 Domaine du Viking "Tendre" Vouvray, 2013 Dry Creek Vineyards Chenin Blanc Clarksburg, 2013 Les Chancelieres Vouvray, 2013 Williams Selyem Chenin Blanc Vista Verde Vineyard, 2014 MAN Vintners "Free Run Steen" Chenin Blanc, Badenhorst Secateurs Chenin Blanc 2014, Foxen 2013 Chenin Blanc Ernesto Wickenden Vineyard "Old Vines", Pine Ridge Chenin Blanc-Viognier 2014, Spier 2011 Chenin Blanc, Vinum Cellars 2014 Chenin Blanc Clarksburg and posted in Wine. You can follow any responses to this entry through the RSS 2.0 feed.